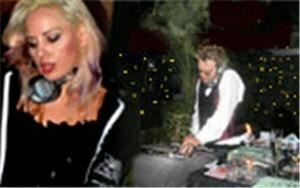 2007 & 2008s "MY Fox LA's Hot List Winner" in the category of Best Wedding DJ...Gold Dust Entertainment consist of the DJ & MC team of DJs Jeff & Jennifer who have been DJing to rave reviews for nearly 10yrs. We are a non cheesy DJ service. Our style is always hip and progressive and we aim to keep your dance floor packed all night long. We do however play music for all nationalities as well as to groups of people of all ages.We use only state of the art sound equipment and we are also completely insured as well. If you know how important is is to have a great DJ on your biggest day than please give us a call at *NOT DISPLAYED* or *NOT DISPLAYED* to set up an entertainment meeting with us.